Pictured is Wabash Co. Sheriff J.Derek Morgan, Kyle Schell (IPMG risk management consultant), and Wabash Co. Board Chairman Tim Hocking, receiving a check for $745 for a training Grant the Sheriff's Office received. This training was for a criminal investigations class for Deputy Bogard & a court security class for Deputy Ledbetter. 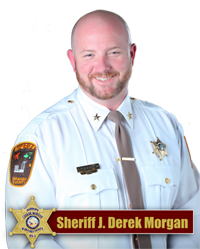 The Sheriff's Office continually looks for GRANT OPPORTUNITIES to due to budget constraints. This type of training would not have been possible without this grant.